A celebration, chronicle, and must-have for Vans sneakers fans, Vans: Off the Wall offers vivid photography and the compelling story of a casual canvas shoe and a DIY spirit that helped turn pop culture inside out. This updated edition, published to coincide with the brand's 50th anniver­sary, brings to life the Vans community of boarders, bikers, artists, musicians, and street culture, and the iconic shoes its members love to wear. 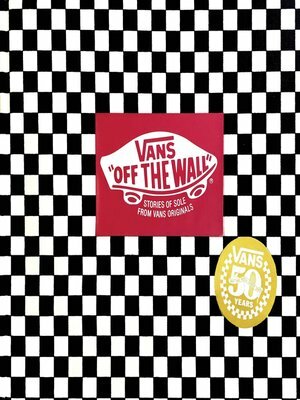 With oral his­tories from Tony Alva, Joel Tudor, Steve Caballero, Stacy Peralta, Oliver Peck, and others—as well as two new chapters of original material—Vans: Off the Wall provides an intimate, visually stunning account of how the company has changed the face of pop culture since its founding in 1966.